This large open airy room is used by our two to three year old children. 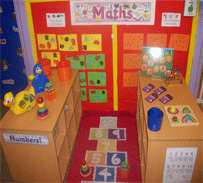 It is divided into specific areas of learning; Maths Area, Creative Area, Role play etc., which gives the children confidence to reach their full potential in all aspects of their development. 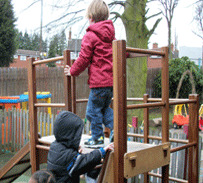 The children are encouraged to form friendships with other children and to be caring towards others, continually supported by their own Key worker, who will plan learning opportunities around each of their key child’s own unique interests. 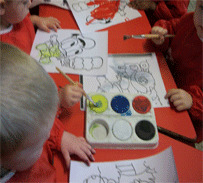 Toilet/Potty training is encouraged and supported, working alongside parents and carers.